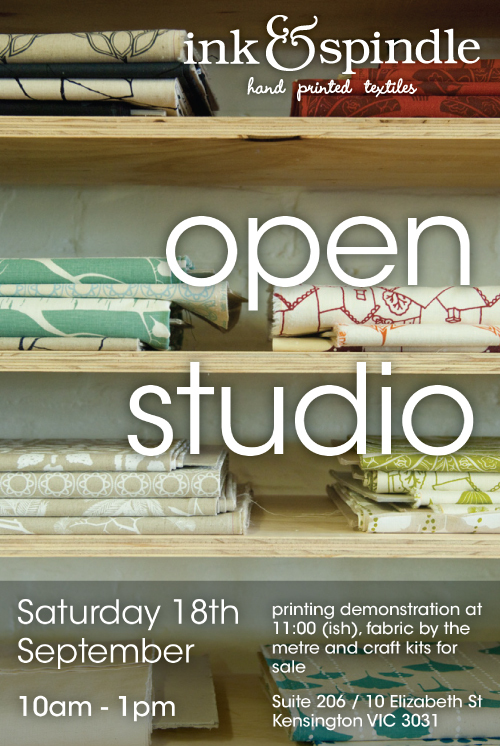 Hey everyone, just a quick note to let you know that we're having another open studio this Saturday at Ink & Spindle. There'll be a printing demo and fabric to buy and cups of tea. Yay. Hope you can make it!